This is probably my favorite salad. It is definitely my favorite way to eat raw broccoli. 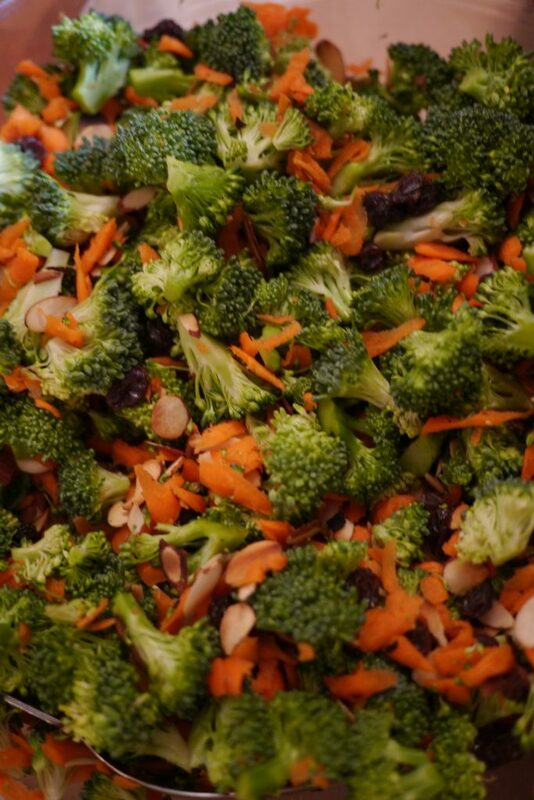 This salad has a great crunch with broccoli, carrots and toasted almonds. then you get a little bit of sweet with the raisins and honey. 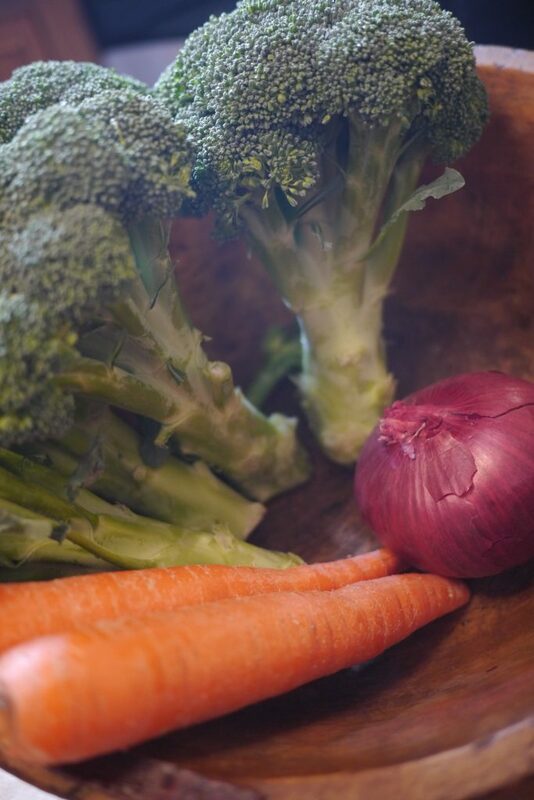 It is well balanced and a great way to get raw food into your diet. 1. Combine all the salad ingredients. 2. Mix the dressing ingredients until well blended. 3. Pour over salad and toss. This salad keeps up to 5 days in the refrigerator and does a great job of holding it’s “crunchiness”. 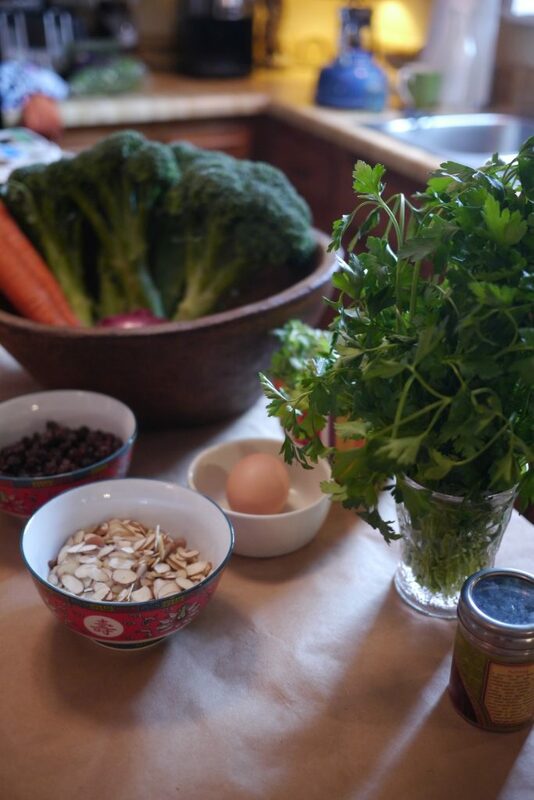 This is a super easy but nutrient dense recipe. Give it a try! Combine all the salad ingredients. Mix the dressing ingredients until well blended.